It doesn’t need to be summer for the Italians to eat ice cream – indeed, for many it is a daily ritual year-round – but sales of this most iconic of Italian treats, the gelato, go through the roof when the heat rises. Wherever you are in Italy, there will be a queue at your local gelateria, or ice cream shop, and quite rightly so. Gelato in Italy isn’t ice cream as we know it. In many countries ice cream is made with cream; in Italy, the secret is to make it with milk. It is this that makes their gelato so smooth and creamy, so irresistibly full of flavour. Chocolate gelato is rich and silky; fruity gelato bursts with flavour. If you have anything of a love affair with Italian food, as I do, get yourself to an ice cream shop (gelateria) and indulge in this unmissable and delightful experience. So it is that ordering gelato from your gelateria is something of an art. You need to know what the different flavours are, do you want a cone or a cup, how many scoops…yes, you can get a long way by pointing, but it pays to learn a few words when it comes to ordering gelato Italian-style. It’s also handy to know that, as in many Italian establishments, you often need to pay and get a receipt before you actually order your gelato; you then show your receipt to the gelato server and say which flavours you want. Sound like you know what you’re talking about and that first taste of cool gelato on the tongue will be even more satisfying…nothing more to say than buon appetito! Get a head start by brushing up on your Italian before you go! Cactus runs 10-week evening Italian courses in the UK. 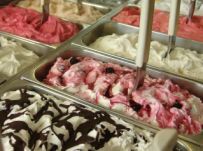 Or book a language course in Italy and immerse yourself in the language and culture – just think, gelato every day! Cactus runs Italian courses in over 20 locations across Italy, from the classical hubs of Rome and Florence to the coastal delights of Taormina and Sorrento. A little while ago we gave you our top locations in Europe for 2014, the places that you, our language learners, flock to year after year to attend some of our best partner schools and enjoy world class culture, entertainment and activities. Impossible to limit our pick to four, we’re now bringing you 10 more European cities that guarantee top quality language tuition and endless opportunities for leisure and entertainment outside class. Jet off in the next few months and you won’t regret it: spring is in the air, flowers are starting to bloom, you can expect pleasant but not stifling temperatures and, above all, you’ll avoid the busy crowds and over-inflated prices of traditional holiday periods. Barcelona has earned itself the status of Spain’s most visited destination for reasons too long to list. 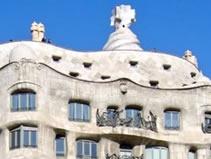 Tourists and students flock here year after year to enjoy the city’s cosmopolitan vibe, Gothic architecture, surreal creations of Gaudí, passion for sport, world class nightlife, great beaches and sublime food. Come to learn Spanish in Barcelona and you can also savour the region’s distinct Catalan history and identity. No matter your age or level, you’re spoilt for choice with Spanish courses in Barcelona: from a standard General Spanish course to Business Spanish courses and activity courses combining Spanish and salsa or culture, there is something for everyone. Much lesser known than the popular hubs of Barcelona and Valencia, it’s exactly this that makes San Sebastian such a find. You will do without the crowds of Spain’s resorts yet be treated to a warm welcome, a magnificent golden beach – a mecca for surfers – and have no end of choice when it comes to going out, traditional tapas bars and first class restaurants at every turn. 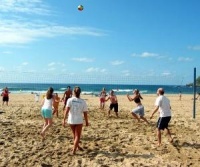 As a place to learn Spanish, San Sebastian offers a range of Spanish courses for adults as well as exhilarating Spanish and surfing courses and summer camps for Under 18s. 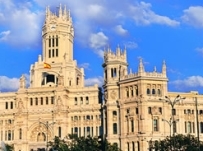 The beating heart of the hot-blooded country that is Spain, Madrid cannot fail to impress. Energetic, alive, brimming with culture and with no shortage of bars, cafés and clubs, this is an exciting and inspiring place to learn Spanish. Our partner Spanish school in Madrid is small and friendly and boasts a great location within walking distance of both Puerta del Sol and the famous Prado Museum. The size and set-up of the school make it really easy to meet new friends and feel at home, perfect for encouraging you to practise your Spanish whilst taking a Spanish course in Madrid. 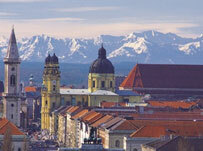 A city of contrasts, Munich offers all the culture and class of a European capital whilst remaining loyal to its traditions and centuries-old customs. Take your German course in Munich and you might visit a world class art gallery one day after class, dine on typical Bavarian sausage the next, and finish up in one of the city’s old beer halls by night. Students learning German in Munich are spoilt for choice with things to do – and the real icing on the cake is the stunning scenery that surrounds Munich, as a short journey out of the city will take you to some fantastic hiking and biking trails, and ski resorts in winter. It’s a special place that inspires couples to fix padlocks to the railings of a bridge and, to ensure everlasting love, throw the key into the river below. Yet Cologne, with all its charm, does just this, and as the river Rhine collects keys of all sizes, so its visitors fall in love with the city too. Oozing with history, magnificent architecture, a stunning Cathedral, cobbled streets, boutique shops and traditional bierkellers, this is an unforgettable place to learn German. 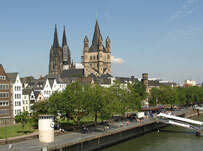 Why not immerse yourself in the culture fully by combining your German course in Cologne with accommodation in a local host family. One thing you can be sure of in Lyon is that you won’t go hungry. Hailed as ‘the stomach of France’, France’s second city is famed for its gastronomy. Obviously requiring energy to learn French in Lyon and navigate its attractive hilly streets, you can happily work your way through sweet, meringue-like ‘macarons’, mountains of cheese and a very un-salad-like but delicious ‘salade lyonnaise’, all in the name of education. Don’t forget to stop off in one of the city’s traditional ‘bouchons’, convivial and relaxed eateries for the seriously hungry and carnivorous. 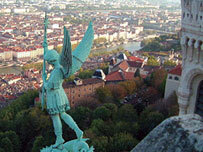 Real foodies, this is for you: French & Cooking Course in Lyon. Whether you’re a school or university student or one coming later in life to study French, you can’t go wrong with Montpellier. Home to a 12th century university, bubbling with a young and cosmopolitan vibe and less than half an hour from the glistening Mediterranean, this a place where it’s easy to stop and spend a while. 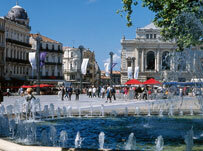 French courses in Montpellier include A-Level Revision and Cookery courses, while teenagers can happily spend the summer attending one of Montpellier’s popular all-inclusive language and activity programmes. Easy to get to, basking in the sunshine of the Côte d’Azur and with the sparkling Mediterranean lapping at its shores, Nice has long been known as a playground for the rich and famous. Yet you’re just as likely to spot a celeb as you are all kinds of travellers and students who come to enjoy the city’s many charms. Away from the palm trees and the cocktail bars of the legendary Promenade des Anglais, Nice retains its French character and is home to a beautiful Old Town, fine museums, traditional markets, colourful festivals and world-class cuisine. 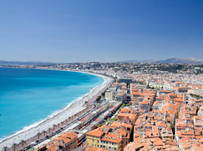 As such this is a wonderful place to learn French, and Cactus works with two language schools in Nice to offer a number of French course and accommodation options to suit everyone. The beautiful thing about Italian is that most people learn it for the sheer love of the language and Italian lifestyle. If you fall into this category then learning Italian in Rome is a must. Italy’s historic, lively capital is Italian to the core, brimming with centuries-old art, buzzing with Vespas and bustling with cafe life and top class food at every corner. Cactus works with one of Italy’s most prestigious and long-established schools to offer a vast range of Italian courses in Rome, from Business and Academic Year programmes to culturally-themed Theatre and Cookery courses. People come from the world over to learn Italian in Florence and it’s easy to see why. 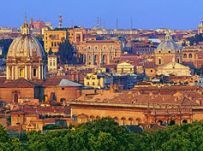 An Aladdin’s cave of basilicas, frescoes and piazzas, it oozes history and artistic grandeur at every turn, almost unlike any other city on Earth. 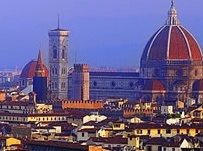 To take an Italian course in Florence is to tread in the footsteps of the great masters Dante, da Vinci and Donatello, their influence as alive now as it was back in the Renaissance. If you can tear yourself away from the breathtaking architecture you won’t regret venturing into the specatacular rolling countryside of Tuscany, just on Florence’s doorstep. There are few places more inspiring to learn a language, with our partner school in Florence overlooking the river Arno and boasting views of the stunning Ponte Vecchio. Cactus offers language courses in locations all over the world, for all ages and levels. Rome might not seem like the obvious place to head for Christmas, but for a sumptuous display of Christmas tradition within a unique religious setting, and a glass of mulled wine never far, it is an unlikely winner when it comes to festive escapes. An obvious and deserved target for any visitor at this time is St Peter’s Square, in The Vatican. With its giant, extravagantly adorned Christmas tree and life-size nativity scene (or presepe) in front of the Basilica, it is for many a true embodiment of Christmas. This culminates with the Papal Midnight Mass on Christmas Eve and the Pope’s annual Christmas message on the day itself: to join the reunion of so many people, from Rome and beyond, is an occasion in itself. Christmas in Rome is not just concentrated around these few days. In truth it really starts on 8th December, the festival of the Immaculate Conception, an important event in the Roman Catholic calendar. On this day, the Pope visits the Spanish Steps and pays homage to the statue of Mary, crowning her with a garland of flowers. He then goes on to give mass at the church of Santa Maria Maggiore. 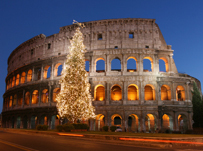 From this day in early December the Eternal City begins to twinkle in festive spirit. Christmas markets open up – don’t miss Piazza Navona to scout creative additions to a nativity scene, as well as wooden toys and other Christmas goodies – and smaller nativity scenes than the one at St Peter’s are re-created in churches across Rome. Christmas shopping is less of a chore than a delight as shopping streets sparkle under fairy lights, buskers dressed as Santa play festive songs and some shops even adorn their pavements with red carpet. If nothing else, you’ll be spoilt for choice when it comes to choosing presents and wow your friends back home with some original gifts – fine Italian leather, stylish stationery, traditional local souvenirs and quality food items. And the big plus? Rome’s relatively mild winter climate means less room needed to pack ear muffs and scarfs and more to fill with all your purchases. Perfetto! Cactus offers Italian courses in Rome and other locations across Italy. Evening and part-time courses in Italian are also available in the UK and the US for those wishing to brush up on the language before visiting. I just came back from a one-week language holiday in Rome (from 31 degrees there to 13 degrees in Brighton!). Not only was the weather fantastic (it was hot but there was always a refreshing breeze – perfect summer weather in my eyes) but so was my language course! Each morning seemed to pass in no time which was mainly due to our fabulous teacher Marina who made learning fun and easy. She managed to keep the entire class in Italian at all times, including the breaks she spent with us on the terrace. Quite an achievement in a beginner level 2 class and despite the cheeky attempts of some students to sneak some English in. The classroom activities included lots of group work with changing partners, playing memory to broaden our vocabulary, well planned role-play and even the creation of a short rap song! Would you have advertised the course like this to me beforehand I might have chickened out (I’m not the role play type! ), but Marina managed to keep everyone engaged and motivated at all times and I really enjoyed myself. The class was a great mixture of 12 people from 11 different countries – France, Sweden, Germany, Libya, USA, Venezuela, Japan, Korea, China, Netherlands and Russia. The school was in a very central location close to the main station and the building had everything a good school needs: good sized class rooms with interactive whiteboards, air conditioning, wifi for the students and a nice cafeteria with inexpensive food (home-made) and drinks. Staff were very welcoming and friendly and everything was very well organised. They also offer a very interesting programme of after-school activities. I particularly enjoyed a seminar about Italian wines which was held by one of the teachers and was very informative and easy to understand. It of course included a little wine testing and some nibbles (my favourite Taralli) too! The rest of the time I enjoyed walking through Rome with its unique mixture of ancient historic sights that pop up between rather modern buildings just everywhere! I particularly enjoyed walking around in Trastevere, a quiet old town area shielded from noisy traffic and the 10,000 Harley Davidsons bikers that populated Rome that weekend to celebrate their 110th anniversary and to get their blessing from the Pope. 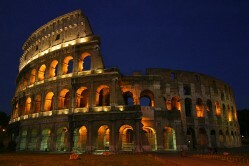 Cactus offers Italian courses in Rome and in many other locations across Italy. Italian evening and part time courses are also available in the UK and the US. Cactus specialises in organising language courses for individuals and groups, having done so since 1999 for clients all over the globe and for diverse needs and budgets. With an extensive network of approved teachers and a strong in-house academic team, we are able to tailor a language course to suit your specific learning needs, anywhere in the world and whenever is convenient to you. If you can be in Italy during Easter Week you will be treated to splendid traditions, poignant rituals and abundant food as Lent reaches its end. While Easter Mass is held across the country in every church, it’s the one led by the Pope at St Peter’s Basilica in Rome that tops the agenda. He also blesses the Via Crucis on Good Friday, where a huge cross is lit with burning torches near the Colosseum. Alternatively, head for Florence where the Scoppio del Carro, or explosion of the cart, provides a spectacular display of fireworks and parades in medieval costume on Easter morning. Wherever you are, Easter Monday, or La Pasquetta, is a day of festivity, fun and social gatherings – to say nothing of fine food and wine, which goes without saying. 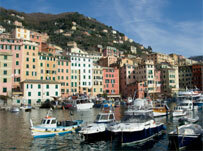 All you romantics out there, head for Venice on 25th April. As well as being Liberation Day in Italy, celebrating the anniversary of Italy’s liberation by the Allies in WWII, it is also the feast day of Venice’s patron saint, San Marco. And it is during this Festa de San Marco that Venetian men traditionally present the woman they love with a red rosebud, or bocolo. Enjoy the parades in St Mark’s Square and woo your beloved in one of Italy’s most beautiful cities – guys, this one will win you brownie points with your loved one. It would be impossible to talk of festivals in Italy without bringing up food at some point. The Sagra del Pesce (Fish Feast) Festival in Camogli, just south of Genoa, is a must for anyone who likes fish as, every year on the second Sunday of May, this small and pretty fishing village perched on the Italian Riviera hosts a massive, jovial and free feast of freshly caught fish. And it really does have to be seen to be believed. For the entire day, fishermen swap their nets for aprons and devote the day to frying their produce in a giant saucepan that’s 5 metres wide (that’s over 16 feet) with a 7 metre handle – possibly even more impressive than the fish that comes out of it. Whatever the case, it’s fish for everyone – it’s delicious, and it’s free! Spring is a time for flowers, and there’s nowhere better to get your fill of colour and scent than in the picturesque Baroque town of Noto in southeast Sicily. On the third weekend in May the pavements of Noto are covered with intricate ‘carpets’ of flower petals that form stunning mosaic patterns and pictures. Local artists go to town with their designs which are all made out the most natural materials possible – in addition to flower petals, they use earth, wood cuttings, seeds and more. The artists begin their creations on Friday, for all to enjoy over the weekend, and then on Monday children are let loose with delight to run through the flowers and destroy the designs. But, at least for one weekend, locals and visitors to Noto look down rather than up, as usually it is the beautiful balconies overhead that catch the eye, not the pavement underfoot. The pretty hill town of Spoleto in southern Umbria plays host to the Festival dei Due Mondi, one of Italy’s most famous performing arts festivals. So-called as its founder, composer Gian Carlo Menotti, hoped to bring together the old and new worlds of Europe and America, it is a packed programme of music, opera, theatre, art and sculpture, and each year draws in first-class artists from around the world. As can be expected, Spoleto gets very busy during the festival, but Orvieto is about 90 minutes away and makes a perfect place to escape the crowds whilst still staying within easy distance of the festivities.